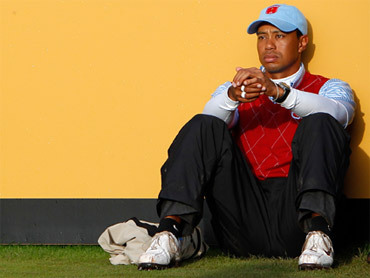 It was late 2009 when Woods' pristine image unraveled after he crashed his SUV into a tree outside his home, unleashing salacious revelations of extramarital affairs. The story was a late addition to last year's voting and wound up fifth. The Woods saga received 1316 points, with the Saints' title getting 1215 and the NBA free agency frenzy coming in third with 1085. 1. Tiger Woods: Woods returned to public view with a 13Â½-minute statement in February, then came back to golf at the Masters in April with a fourth-place finish. That would be one of his few highlights on the course - Woods went winless on the PGA Tour for the first time in his career and lost his No. 1 ranking for the first time in years. In August, he and Elin Nordegren divorced. 2. Saints Win: New Orleans residents loved their Saints for not abandoning the city after Hurricane Katrina, but it was hard to imagine the team bringing much joy on the field after 42 mostly losing seasons. Then Drew Brees and Co. upset the mighty Indianapolis Colts in their first Super Bowl, to the delight of French Quarter revelers and fans nationwide who adopted the Saints. Drew Brees on "60 Minutes"
How Drew Brees Became "Cool Brees"
5. Giants Win: The Giants hadn't won the World Series since they moved to San Francisco in 1958 - and since 1954 overall. This didn't seem to be the year to end the drought when they barely squeaked into the playoffs. But with dominant pitching and clutch hitting, they beat the Texas Rangers in five games. Will NFL Suspend Favre to Avoid Lawsuit? How Did Favre Get Phone Number of Jets Hostess?